As with many small farmers across emerging economies, Rwanda’s dairy farmers often have limited access to finance. Whether it’s due to the perceived high risks of lending to them, their low productivity, lack of tangible collateral or other reasons, only 5 percent of the country’s dairy farmers have access to credit, according to a 2016 Access to Finance Rwanda report (not available online). 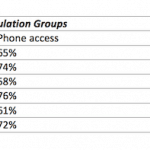 This matches what we’ve seen in the field at N-Frnds, a cloud-based SaaS platform working to connect private and public-sector partners with people and MSMEs who lack online connectivity in sub-Saharan Africa and Southeast Asia. That’s why, in early 2017, we partnered with Rwanda’s Ministry of Agriculture and Animal Services (MINAGRI) to digitize the processes at Milk Collection Centres (MCCs) across the country. Before going digital, MINAGRI relied on the manual collection of data, which did not allow a lot of oversight of the milk collection process. If the Ministry wanted to collect data at the MCC level, it typically involved physically going to individual MCCs, of which there are over 100. This also limited the Ministry’s ability to address challenges at the MCC level, such as low productivity, poor quality of milk and price fluctuations. The challenges have also extended to farmers themselves: Since official milk collection records are kept by the MCCs, farmers have little proof of income or previous sales records. This makes it difficult for farmers to build a financial history, and also makes it hard for them to track their monthly payments owed. Farmers are given a daily slip of paper for milk collected for that day, but they are typically paid every 30 days. So by the end of the 30 days, the farmers are often not 100 percent sure what their payments should be, as their slips are sometimes lost, or not reliably provided by the MCCs each day. 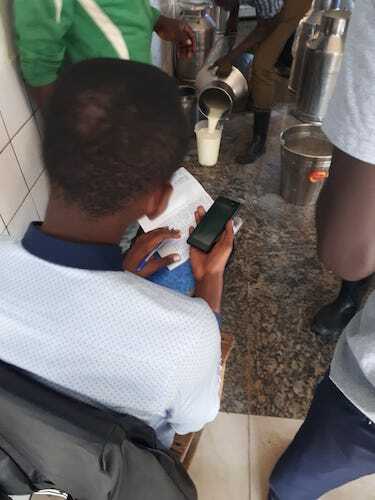 When we deployed this digital solution with the Rwandan MCCs, via a platform available in English and Kinyarwanda, we started to collect information daily on the amount of milk collected, the amount rejected (and the reasons for rejection), and the price. From this, we aggregate insights for MINAGRI, making it easier for the ministry to track milk accepted and rejected, and to see outliers in the data. We’ve learned that, on average, milk is rejected for three main reasons: 50 percent of rejected milk is diluted with water, 30 percent has gone bad from long transportation and 20 percent is rejected for hygiene issues. If a particular MCC has an above-average rejection rate or a large percentage of milk that was rejected because it was diluted, then the ministry examines and fixes the issue at that MCC. This approach is already producing results: For example, now we find that, on average, less than 5 percent of milk is rejected, whereas back in July 2017, it was close to 10 percent. In March 2018, we’ve seen milk rejections get as low as 1 percent. 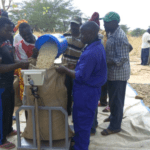 Along with increasing MCCs’ accountability and oversight, digitization is now benefiting last-mile farmers as well, via pilot programs at two MCCs in Rwanda that are part of the MINAGRI partnership. These programs involve a farmer-level milk collection survey, delivered through farmers’ existing mobile phones, in which they fill out the milk collection information themselves, with verification from the MCC. To account for farmers with lower education levels or fluency with technology, we have created a way for MCCs to fill out the information on their behalf. In these pilot programs, we are training the farmers on how to complete the milk collection information, and also highlighting the importance of digitization. For the farmers, this digitization effort has provided both immediate and long-term benefits. It has brought them into the digital milk collection process, giving them access to information, and creating an avenue for gaining access to financial services. Farmers are now given digital records of their milk sales, available on their phone at any time. This provides them with the immediate benefit of knowing how much milk they sold in the last day, 7 days, 14 days, 30 days, etc. Digitizing milk collection at the farmer level also brings farmers into the digital financial ecosystem. The long-term benefit is that we are creating financial histories that will function similarly to a pay stub, showing the farmers’ milk income over time. This information can help farmers gain access to credit, savings and other financial services. Additionally, it creates a model for sustainability for these services, as our digital interface offers a way for financial institutions to reach previously unbanked, low-income farmers. Our platform brings agency banking to these last-mile farmers, plugging them into the IT infrastructure of financial institutions and providing the institutions with an additional customer base. The program has shown that digitizing value chain-based financial services for last-mile farmers has the potential to impact billions globally. Innovation through public-private sector partnerships can lead the way in creating products and systems designed to digitize the base of the pyramid. The digitization of the milk value chain is supported by the Private Sector Driven Agricultural Growth (PSDAG) project, implemented by RTI International and funded by USAID. The project also spearheaded the expansion of N-Frnds’ mAgri platform, which has now reached over 15,000 Rwandan farmers with agri and weather information, resources, and interactive chat and group chat features, without the use of mobile data or the internet. Alyssa Mesich is the global manager of public private partnerships at N-Frnds, a tech company that focuses on digital solutions that can all be accessed from any device, even without mobile data, in emerging markets.